ITENE organizes this webinar about the LCA to Go tool for bio-based plastics. This tool helps SME's plastics sectors to evaluate the environmental impact of their products. Discover a free web tool to evaluate the environmental impacto of your plastic products. Quick&easy! Please register in the webinar in order to receive your participation link by e-mail and easy instructions to join us on july 29 or on september 9 from 11h00. Quick & easy: your simplified environmental impact product assessment in less than 1h. During the webinar, demo session about the use of LCA to go tool will be made by ITENE's LCA experts. Attendees will be able to send their questions to our experts at the end of the demo session. Identify the benefits of the Life Cycle Assessment in the plastic and bio-based plastics sector. Calculate the environmental impact of products in a quick and easy way, thanks to LCA to go web tool. Environment & sustainability managers, quality managers, product & design engineers, R&D technicians at SMEs working with bio-based plastics and conventional plastics. For further information and support, contact us by e-mail registro@itene.com or phone 0034 96 182 00 90. This project has received funding from the European's Union Seventh Framework Programme for research, technological development and demonstration under gran agreement No. 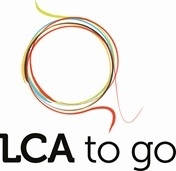 265096: LCA to go project.